Kim Kardashian meant “no shade” towards Taylor Swift when she released footage of a phone call between her husband Kanye West and the singer, reigniting their feud. The "Shake It Off" pop star had been embroiled in a long-running war of words with Kim's rapper husband Kanye over lyrics to his song "Famous," in which he name-dropped the singer. He maintained he had received her permission, but Taylor disputed it. However, Kim got involved and sensationally released videos showing her husband getting Taylor's approval in a phone call back in July. Kim has now explained she never intended to be mean to Taylor and she still remains a fan of her work. "I never publicly talk bad about people," she told Wonderland magazine. "I still don't feel like I have. I'm being honest. I'm a fan. I like her music. There was no shade." Taylor didn't see it that way and issued a lengthy statement accusing Kim of character assassination by portraying her as a liar, and a number of her 'squad,' such as Selena Gomez and Uzo Aduba, spoke out to support her. Kim revealed to Wonderland that some of Taylor's friends even "hit me up on text" after the controversy, but she refused to identify them, adding, "I'm not petty." The reality star first alleged there was a call between Kanye and Taylor in an interview with GQ. 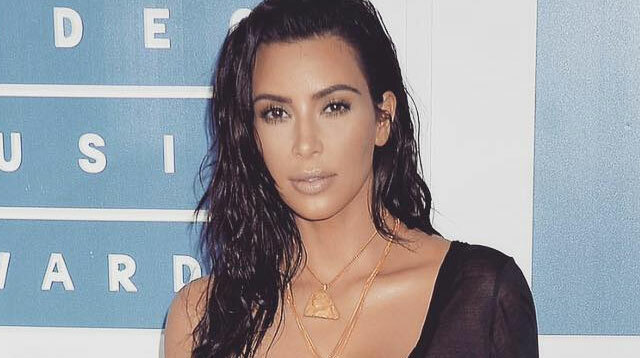 In an episode of Keeping Up with the Kardashians in July, Kim explained to her sister Kourtney she was fed up of Kanye being seen as the bad guy. Kim said, "I just felt like I wanted to defend him; in it she (Taylor) legitimately [to] quote says, 'As soon as I get on that Grammy red carpet I'm gonna tell all the press. Like I was in on it'... And you know just another way to play the victim... I feel like I've had it with people blatantly treating my husband a certain way, making him look a certain way."